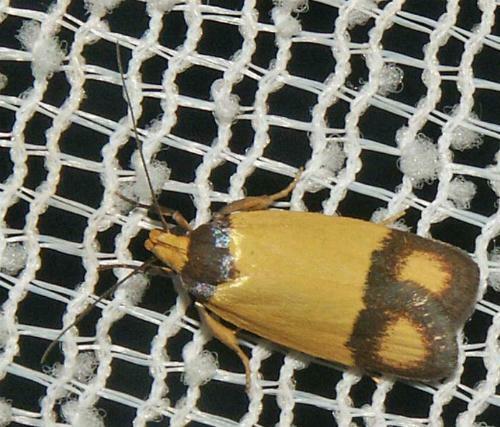 The adult moth of this species has yellow forewings each with a big brown circle on the margin, and a brown thorax. The hindwings are silvery grey. The wingspan is about 1.5 cms. CSIRO Publishing, Melbourne 1994, pp. 94, 101-104. Volume IX (1884), p. 773.